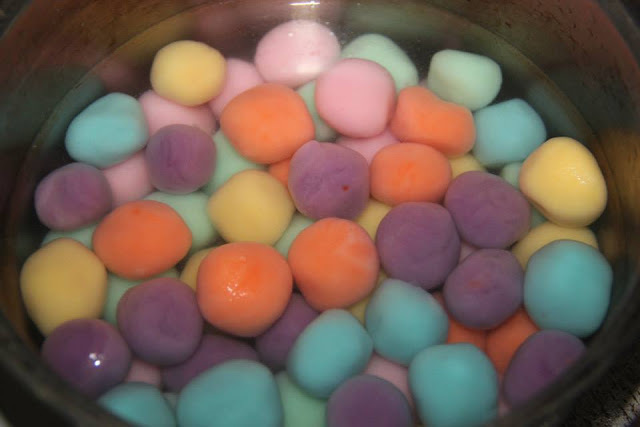 22.12.2014 - Yummy Tang Yuan. Even thought i don't really love much sweet stuff with syrup, but can't resist these little colorful balls, they simply looking too cute to eat. Make just little bit to celebrate our yearly Winter solstice aka “dong zhi” (冬至), which usually falls on the 21st or 22nd of December. 1. 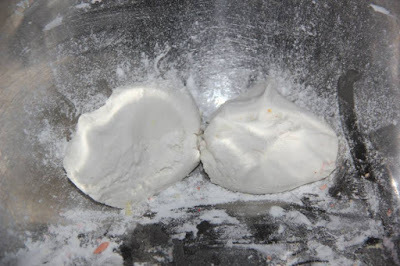 In a bowl, add the glutinous rice flour and sugar. Gradually add in the water. Knead the mixture into a smooth dough. The dough should feel wet and smooth with hands. 2. 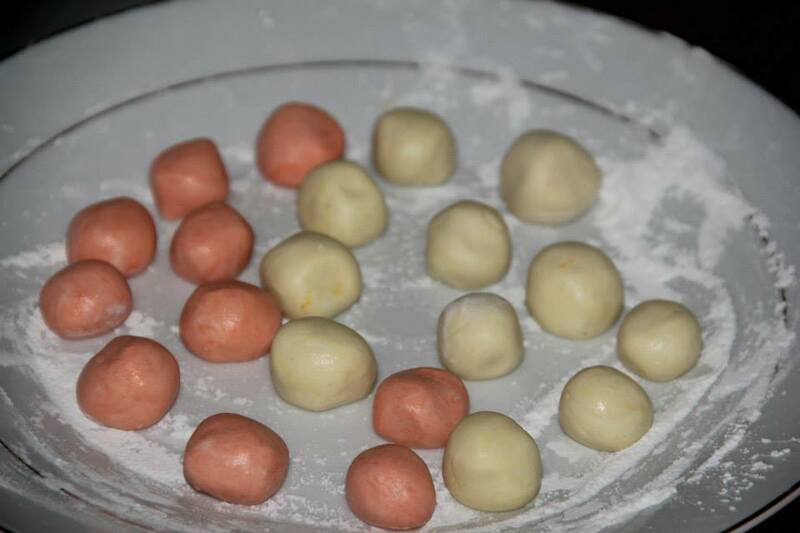 Divide the dough into four, one plain, one with pandan paste, one with strawberry paste and one with orange food colouring. Set aside. 3. 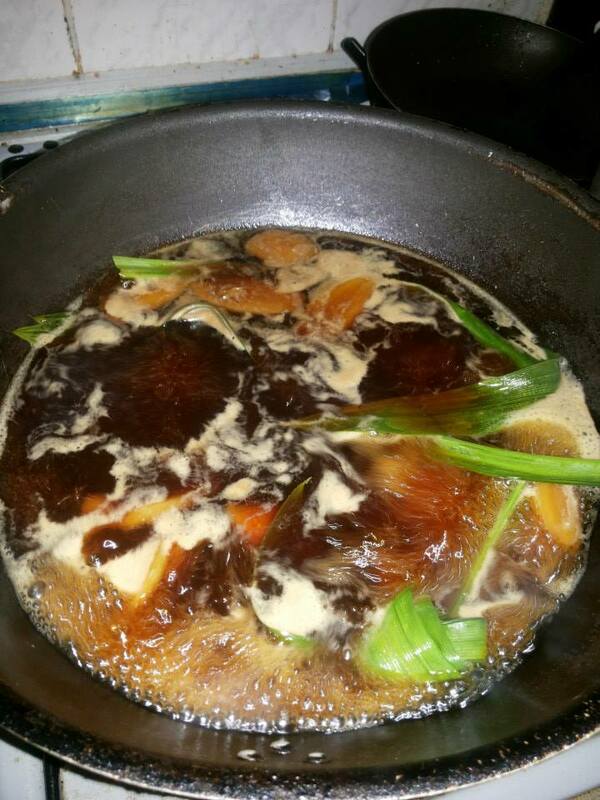 In a small soup pot, boil the water, ginger, pandan leaves and drop in the winter melon tea cube. When the water is boiling, discard the pandan leaves and set aside. 4. Prepare a bowl of drinking water (room temperature), and boil another pot with water. Divide the flour dough into smaller balls, roll it in your palms to make it round. Drop the balls into the boiling water in step 4. When the glutinous rice balls floated on the water, it means it is cooked, keep it in the boiling water for another 1/2 min. 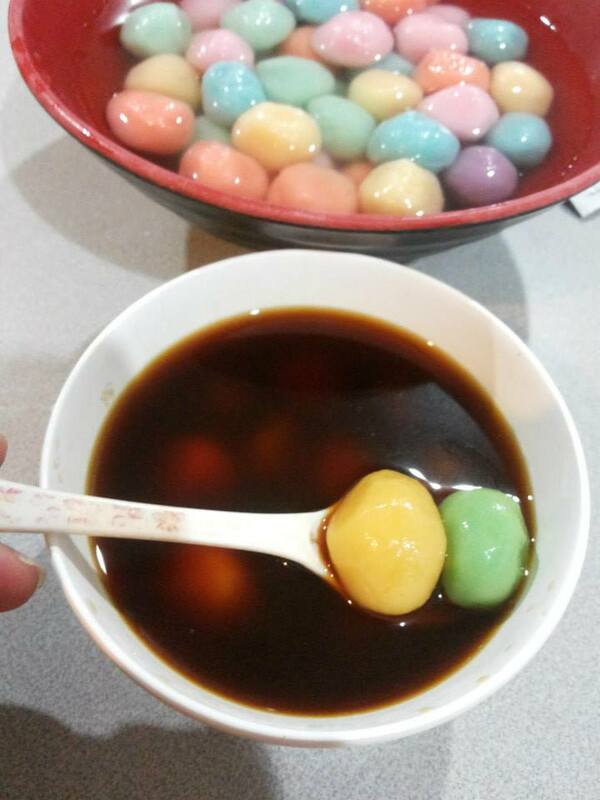 Scoop the glutinous rice balls out from the boiling water and place it in the bowl of drinking water. Let it be there until serving. 5. Serving: Scoop out the Tang Yuan (glutinous rice balls) and place it into the ginger winter melon soup you prepared in step 3.